We’ve been getting all excited about our glorious array of fiction and non-fiction events, but have yet to divulge the full wonder of our Felixstowe Book Festival interactive workshop sessions. We have the whole caboodle on offer, catering for tastes both young and old. If you want to recharge your batteries and take a step back from the hustle and bustle of everyday life, then why not attend our ‘Five Ways of Mental Wellbeing’ Workshop, hosted by Tom George. Tom will guide us through a session largely based on writing exercises focusing on the natural world. 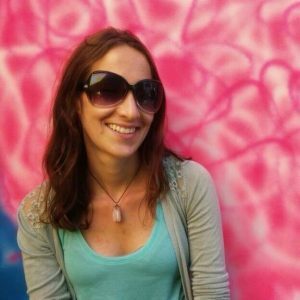 The link between writing and mental wellbeing will also be explored by Francesca Baker in her ‘Songlines’ workshop. Attendees will learn the benefits of writing through various activities, developing skills to take home and use in everyday life. For our younger audience members, look no further for some wonderful creative and crafty sessions that are running over the festival weekend. Budding authors, how about joining Emily Rowe and Jeni Smith on the 1st of July at the ‘Making Books’ workshop? Jeni and Emily will guide us through how to make a selection of folded books, as well as a beautiful and unusual sewn book. 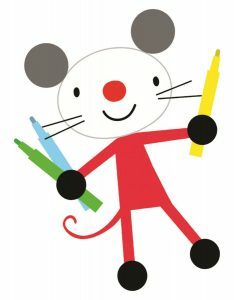 Or how about a spot of arts and crafts with publishing company Imagine That’s Arty Mouse who will be returning to the festival this year for a session jam packed with painting and glueing and drawing and so many other fun filled activities? 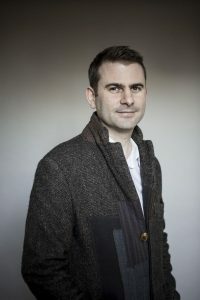 There is so much fun and creativity to be had – for further children’s events, follow this link: https://felixstowebookfestival.co.uk/events/categories/young-people. We have plenty of sessions suitable for young and old alike. If you have a hankering for trying out some image animation, check out the Peter Bunzl Animation Workshop . Throughout this entertaining session, children’s author Peter Bunzl will reveal the secrets of creating your own flip-animation, and will teach us how to draw an animated strip for a Victorian zoetrope. How about that?! For those who prefer telling stories, rather than drawing them, we are lucky enough to be joined this year by Elly Crichton Stuart who will be sharing her expertise in this field at her storytelling workshop. In a similar light, the Felixstowe Scribblers and the Orwell Writer’s League will be hosting our Flash Fiction workshop this year – visitors will have a time limit in which to create a short story to share with others should they wish. Of course this is but a taster of our selection of wonderful interactive events. For further information, feast your eyes on our book festival workshop programme by following this link: https://felixstowebookfestival.co.uk/events/categories/workshops.